The untold history of the Lincoln assassination. The details of the plot to assassinate Abraham Lincoln—one of the most infamous events in American history—are still shrouded in mystery. The popular belief is that John Wilkes Booth was the ringleader and mastermind behind the president’s assassination, yet many questions remain unanswered. Can the threads of the conspiracy be traced all the way back to the highest reaches of Confederate leadership? Was the intent to kidnap or to execute Lincoln? Extensive scholarship combines with compelling insights to weave a plausible tale of espionage and a tragic miscalculation that led to the historic night at the theatre and included a massive cover-up perpetuated to this day. 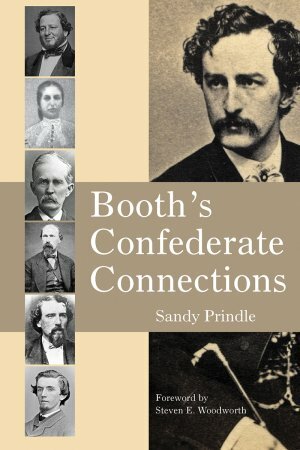 Sandy Prindle served as a justice of the peace for 24 years in Tarrant County, Texas and was the president of Justice of the Peace and Constables Association in Texas. The author of three novels, Prindle received the Pinnacle Achievement Award from the National Association of Book Entrepreneurs. He has given seminars and lectures on the Civil War and the assassination of Lincoln for the last thirty years as a member of the Tarrant County Civil War Roundtable and the Surrat Society in Washington, DC.